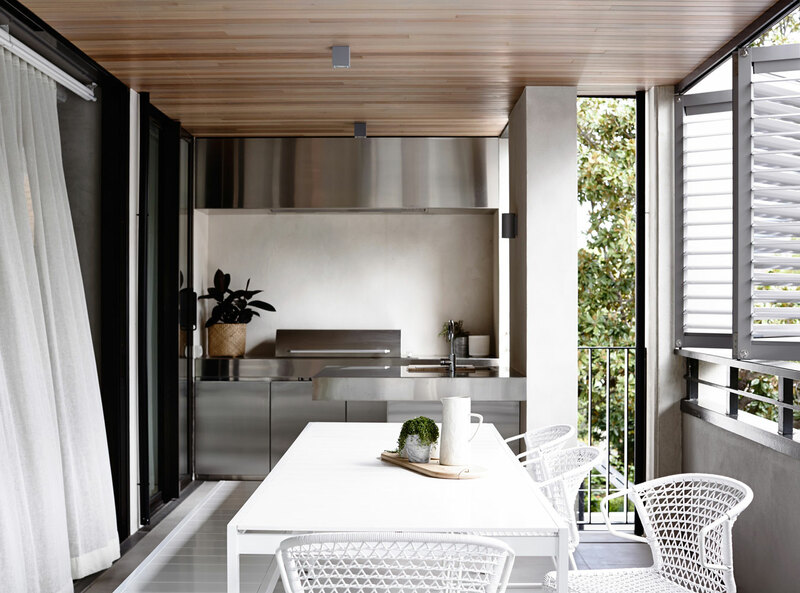 Designed in collaboration with Neometro and Carr Design Group, this four-apartment, urban infill project is nestled within the heritage context of Domain Hill. 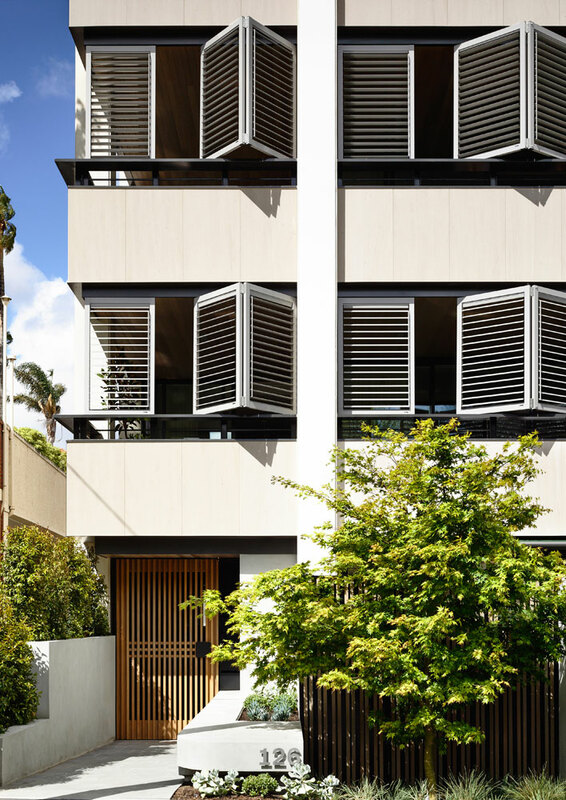 Each apartment was designed as a single level courtyard house. 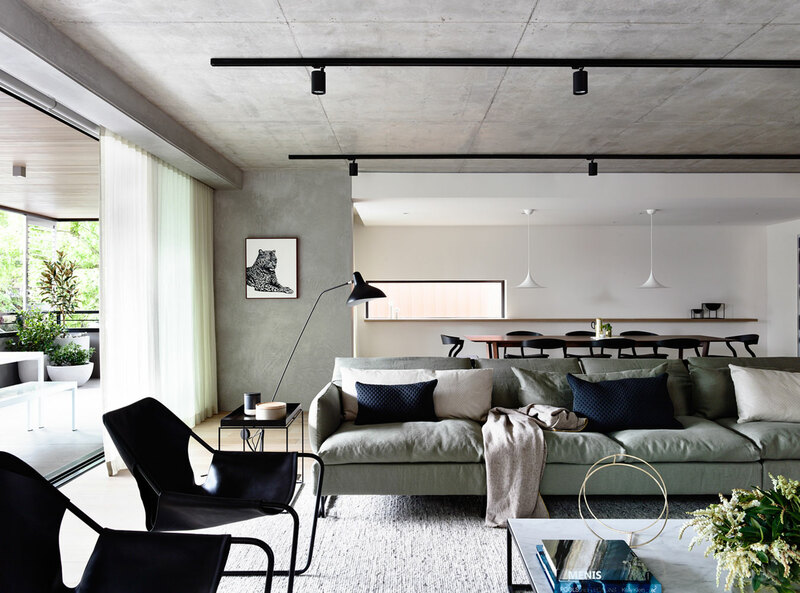 The focus was on the internal views created by the recesses of the plan rather than the long views of the street beyond. The design features a bold façade composition of solid and void, ordered within a frame of expressed columns. 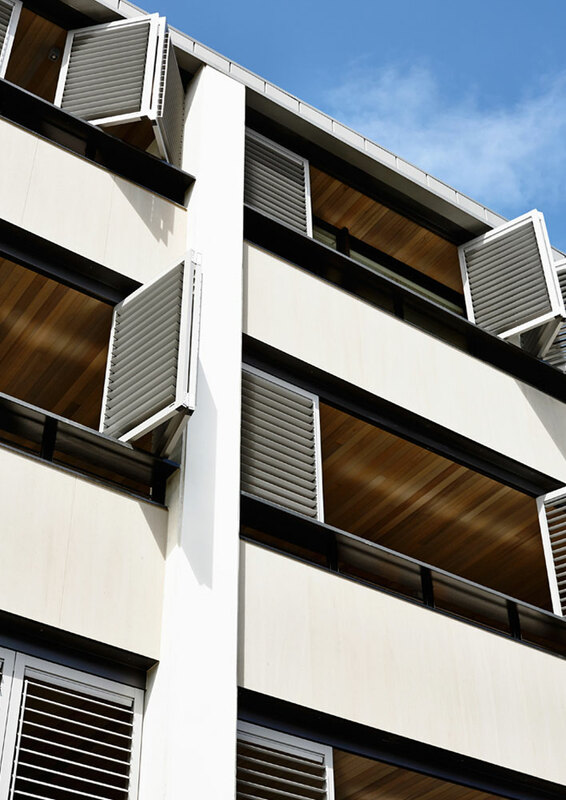 To the north, the mass of the façade is cut away to allow north sun penetration to the centre of the apartments and provide cross ventilation. 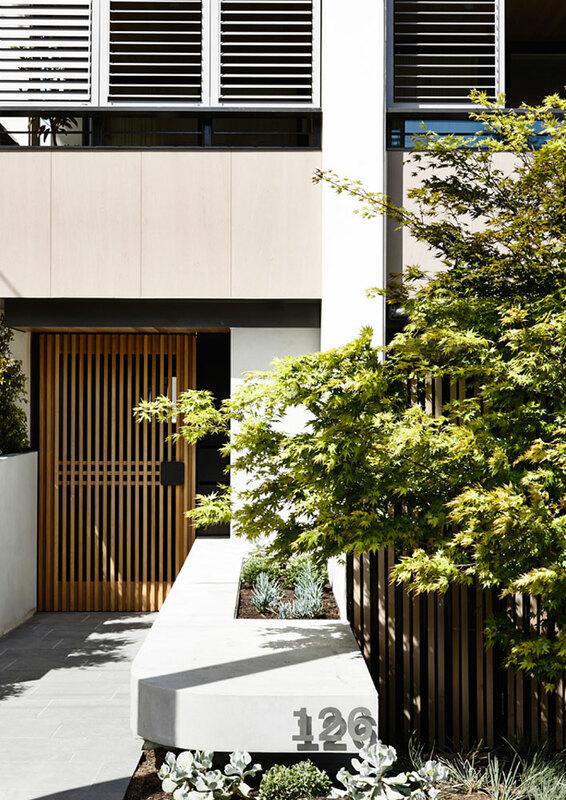 Meanwhile, shutters to Walsh Street provide activation and control of both sun and privacy. 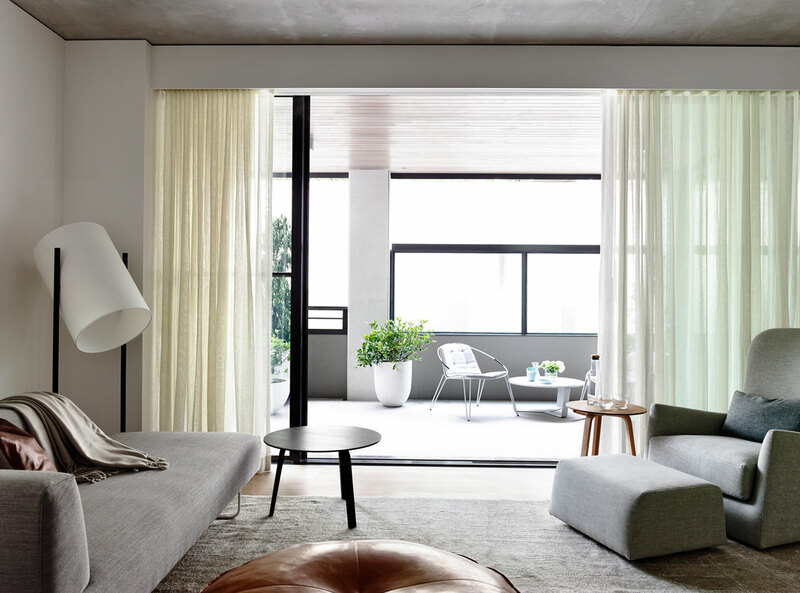 The resulting apartments are both generous and private, with a series of internal aspects that provide relief in this high-density neighbourhood.